You know what? 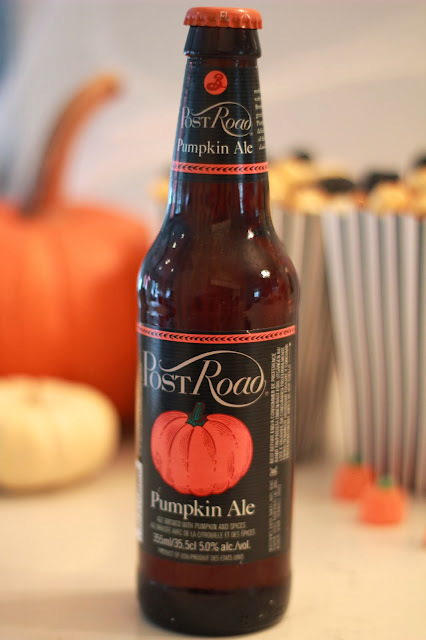 Pumpkins have it bad. Call me crazy but how would you like to be brought into this world only to be taken from your cozy little spot in the dirt with all your little pumpkin friends and family and brought into a strange home to be gutted and carved and placed on some doorstep with a burning fire inside of you? Then watch as some crazy, scary characters stomp around you all night collecting handfuls of gross , processed, icky candy. And finally, thrown in the trash with a surgically enhanced face and and *sigh* entirely hollow to just rot away. Now you get me? This year, I decided to treat my pumpkins with some dignity and respect. My pumpkins got dressed up and glammed up and displayed on a cart full of champs and booze and beside charming coffee table books, a delicious candle and pretty fall floral. 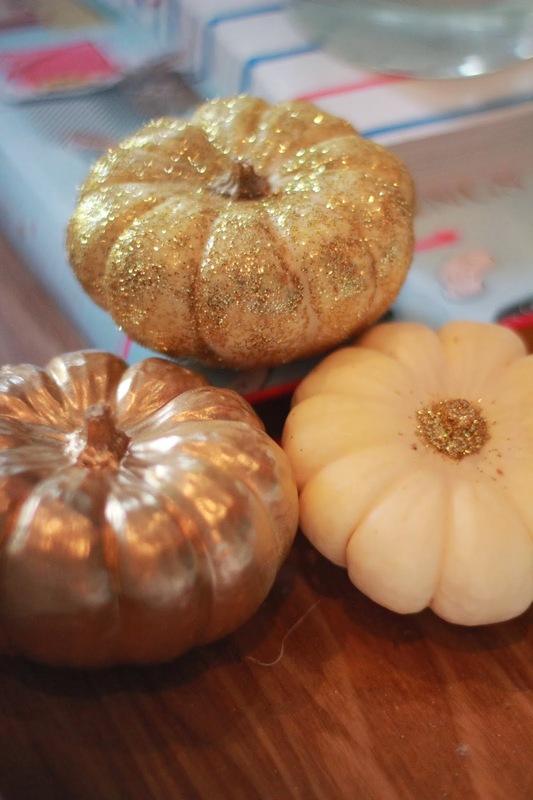 I dressed my pumpkins in gold glitter and paint. 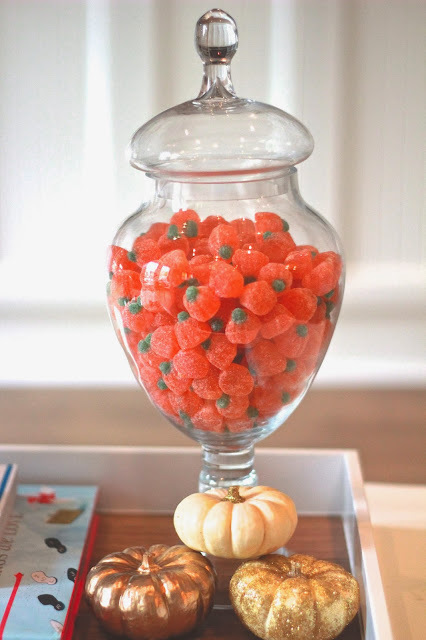 My glitzy pumpkins where on display throughout the house; on the table, bar cart, coffee table, and windowsills and everyone got to see them in all their glory. The best part is, my pumpkins will not go in the trash. They will be baked into delicious, soft cookies to savour and enjoy. Sadly we never have any kids visit our house on halloween because the houses are spaced too far apart. So, our halloween will consist of some popcorn, pumpkin beer and season 5 of Sons of Anarchy while cuddling up with our little bumble bee. 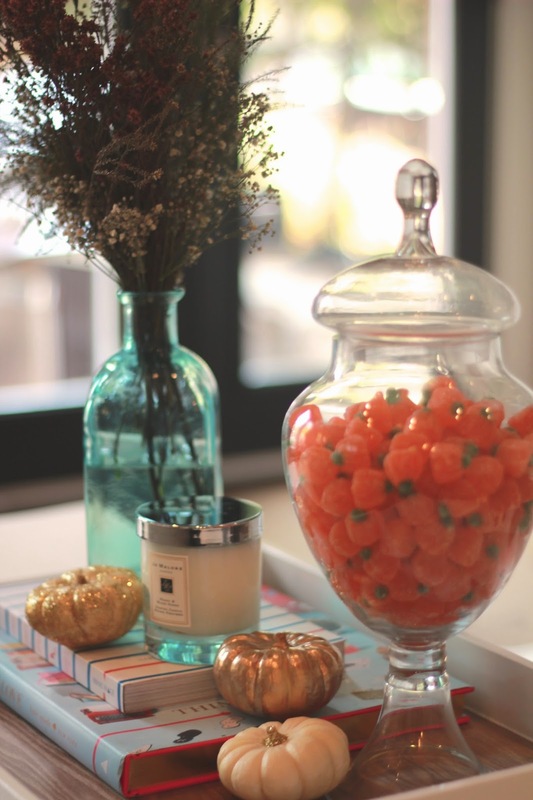 White mini pumpkins, gold spray paint, modge podge and gold glitter is all you need to glam up some basic pumpkins. Umm garbage? By garbage I mean the leftover pulp from juicing. You know, the fibrous and nutrient dense stuff that gets kicked out the other end and normally thrown in the garbage after you've just juiced all your fruits and veggies. Well that garbage was a pot of gold in this banana bread recipe. I am not a practicing vegan and I don't pretend to be one, however, this bread is pretty damn good. The original recipe was adapted from an awesome book that I came across while studying to become a yoga instructor. Enlightened Eating by Caroline Dupont is a wonderfully written book that shares how to nourish the mind and body with the food we eat. I have made quite a few of her recipes and they have always turned out beautifully. I definitely recommend this book even if you are not following any specific diet or yoga practice. Realistically, wherever you are in your life, there is always room for nourishing, feel-good food no matter how you classify it. I've done quite a few juice cleanses in my time, and I always aim incorporate at least one juice or smoothie on a daily basis while I'm not cleansing. This juice I made on sunday is one of my absolute favorites and usually takes me right to the end of the week on one batch. First things first, you need the pulp before you can bake. Put the milk, oil, maple syrup, bananas, and pulp in a blender and blend until smooth. You will have a lot of kale and spinach in the pulp mix, so dig around for some orange and pineapple pulp as well. Add blended mixture to dry ingredients without over mixing. Add nuts, seeds and chocolate. Pour into baking dish and bake for roughly 30-35 min or until a knife inserted into the centre comes out clean. Yes, you're bread will be green but get over it, the taste is masked by the bananas. And frankly, the fibre and nutrients that are baked into it are completely worth the Shrek-like appearance. 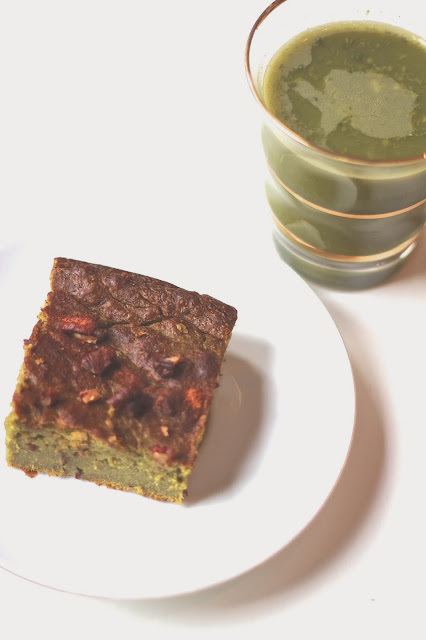 If you're like my husband and completely tuned off by the green-ness of this bread, either add cocoa powder to mask it, or make your juice without kale and spinach. Instead try carrots, cucumber, or celery. Serve warm with natural peanut butter or just devour it on it's own. Anyone else as crazy about this gorgeous shade of blue as I am? I'm on a hunt for everything cobalt and my next piece will be this coat. I just love a nice pop of colour against a neutral. 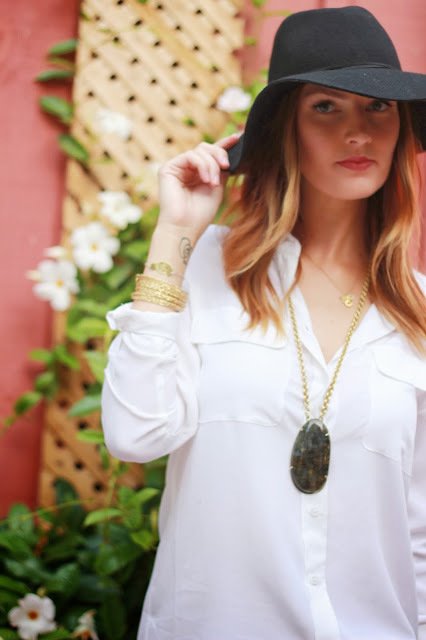 Necklace and bracelet - Tiffany & co. Since I now have a boatload of apples, I've been racking my brain with what to do with them. I decided to create a series of all things apples. 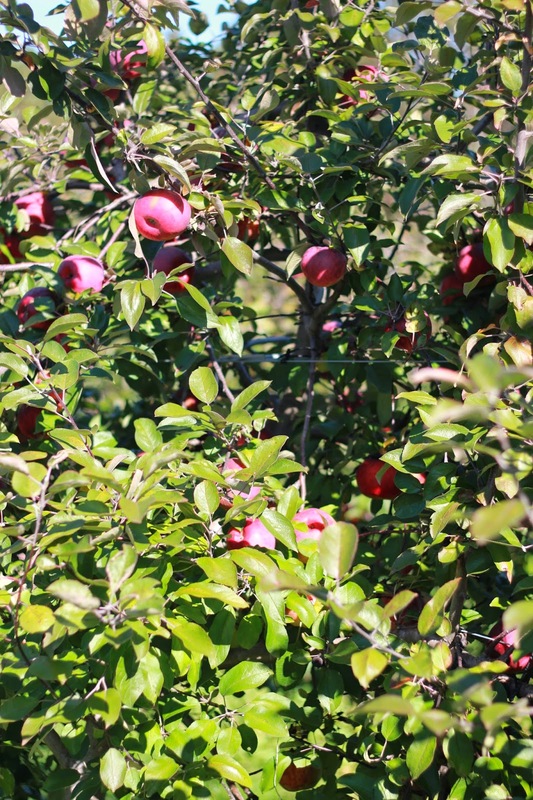 After all, October is national apple month! I started with a favorite of mine, Butternut squash soup but with a twist. 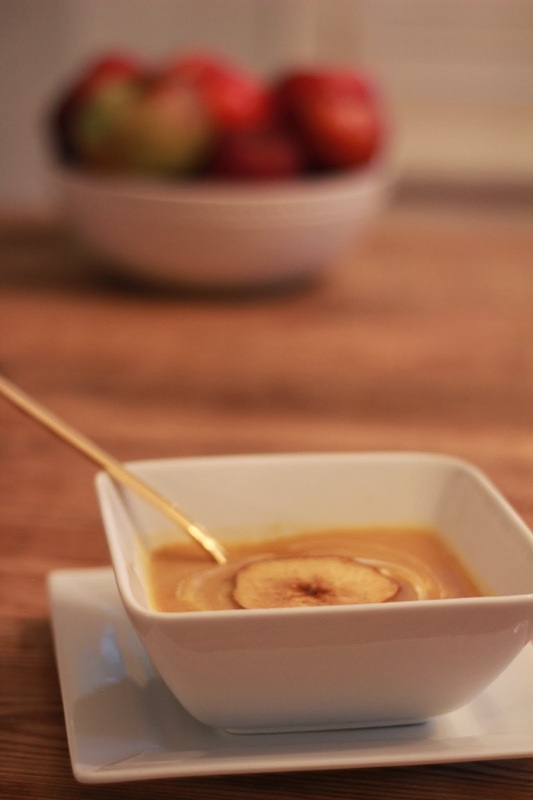 Add roasted apples to the mix and you have yourself a top notch, sweet and savoury soup. The best part about this soup, other than the fact that it's smooth, creamy, healthy and delicious, is that you're home will smell like fall! 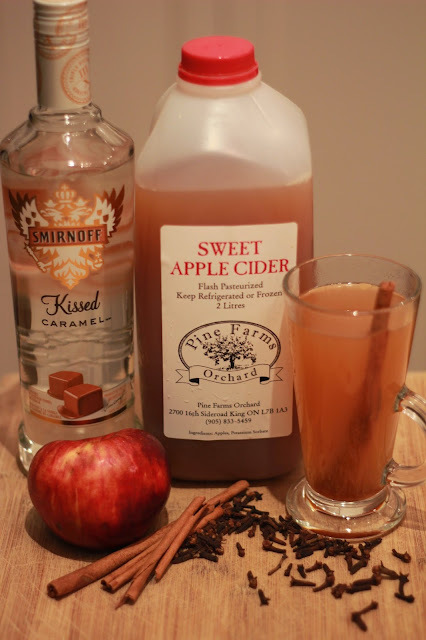 The essence of freshly picked apples with cinnamon and nutmeg will linger in the air...Mmm.. This recipe is super easy too, and you can buy pre-cut squash if you don't want to tackle the slicing, dicing, pitting and peeling of the squash. 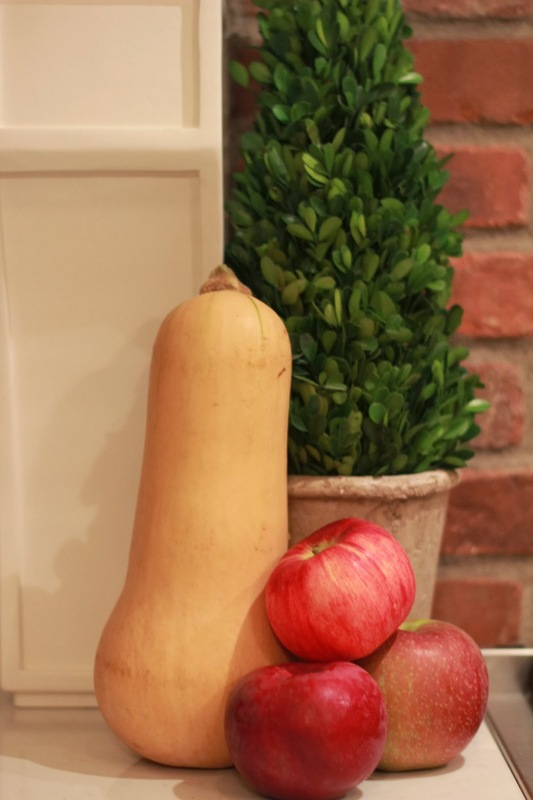 Slice squash in half lengthwise and the apples into roughly 6 pieces. Place on a roasting pan and roast for 30 min. In a large saucepan, heat olive oil and add half of the chopped onion and garlic. Sauté until onions are clear, roughly 10 min. Add vegetable broth, squash and apples to saucepan. Add all the spices and let boil for 10 minutes or until the squash is tender. If you do not have a handheld blender, get one! you can transfer the mixture with a ladle into a blender and blend in batches. 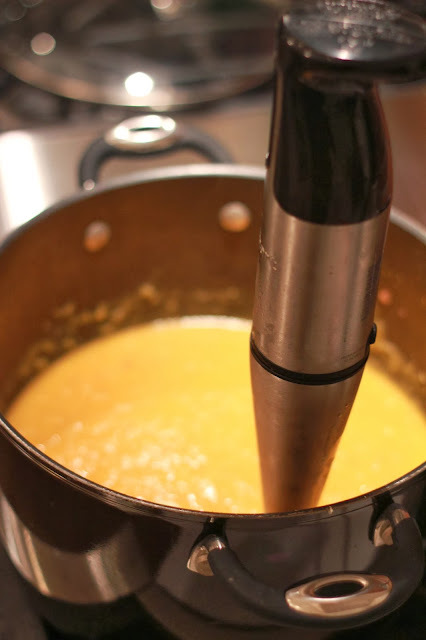 Once blended and smooth, simmer the soup back in the saucepan with a lid for 10 more minutes. Serve and garnish with a dollop of greek yogurt and an apple slice. We had yet another beautiful day so Quinn, Lexie (my puppy) and I went out apple picking at the nearby orchard. I picked so many apples, I'll probably be making apple-everything for the next little while so prepare for some apple recipes soon. My favourite braided boots that I picked up while in Paris inspired some little side braids in my hair. I love sweet little details so the braiding on the back of these boots had me sold from the get go. The fact that the leather is like butter and they are the perfect shaft hight was just an added bonus! The weather here in Toronto has been so fabulous and I am finding myself trying to soak it all up and enjoy it while it lasts. I spent my afternoon nestled into the sofa on our terrace enjoying the warm sunshine with a good book. I picked up this sweet little book called, The Gospel According to Coco Chanel. I mean, the title had me sold, but it's really quite a cute read with each chapter as a sort of life lesson according to Gabrielle "Coco" Chanel's life. One of my all time favourite movies is Coco Avant Chanel (in french - duh!) This book, like the movie, is great in that you get a close look into Chanel's life as a woman, not just the icon she became all with a side of practical wisdom.